The target list for the 2019 Indoor County Championships is attached below. Yesterday the team were in action against Lincolnshire shooting a Portsmouth Round hosed by Sherwood Archers, a postponed match from July. The Senior team was selected from those who shot the WA18 round in November at Sherwood Archers. A number of the team shot through colds/flu/coughing however, everyone managed to finish the shoot. We had 3 new members to the County Team this year ~ Martin Voce, Stefe Huff and Steve Pepper whilst Liam Wright shot for the Senior Team for the first time as he is now an adult. Welcome to you all. 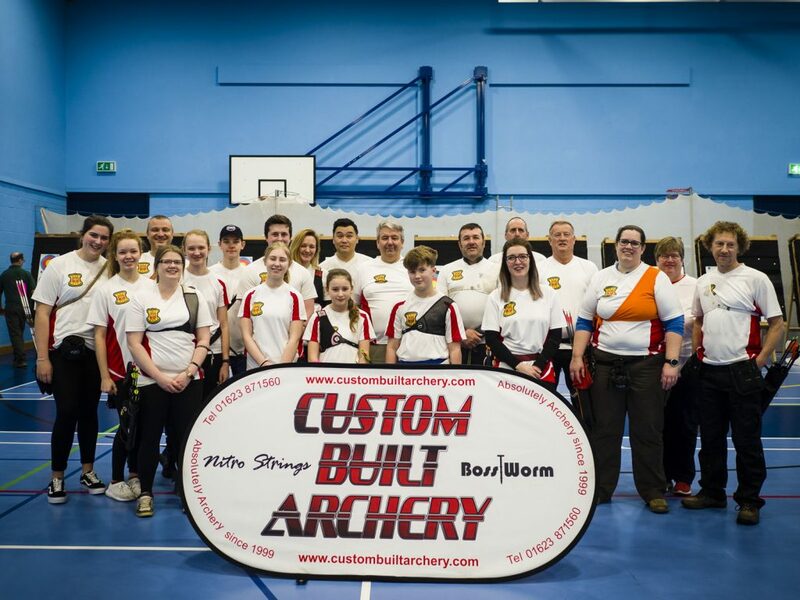 Jenny Bryan Junior Recurves Poppy Barker, Anna Blythe, Laura Eyres, Will Oakes Lincolnshire Notts Compound 2817 2817 Recurve 3280 3252 Barebow 492 476 Longbow 366 306 Senior Totals 6955 6851 Junior Compound 554 580 Junior Recurve 2143 1958 Junior Team 2697 2538 Combined Totals 9652 9389 This gave Lincolnshire an overall win by 263 points. Ranking points will be awarded to individuals dependant on the position gained in each qualifying shoot (above), with the highest position scoring 1 and the second highest position scoring 2 etc. Where a tie in ranking points occurs, the scores from the Nottinghamshire County Championship (outdoor) will be used to decide who makes the team.